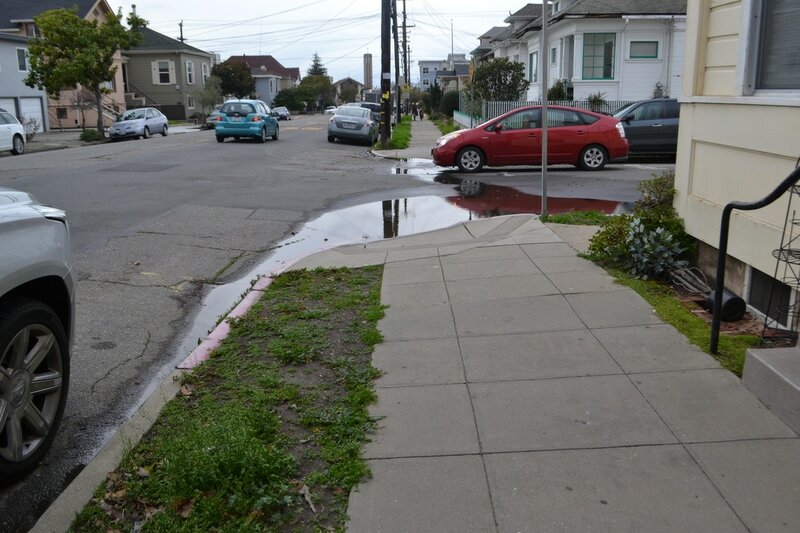 We envision a community where all pedestrians feel safe to walk about the neighborhood. 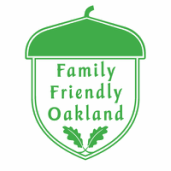 In collaboration with neighbors, the school community, City of Oakland staff and other supporting allies, we seek to develop and implement safety strategies for students, school community and neighborhood residents in order to reduce the risk of injuries, accidents and death in our neighborhood streets. 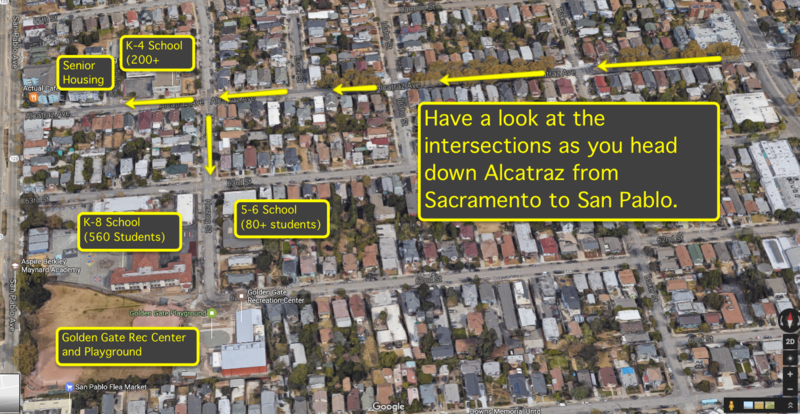 Compare intersections between Sacramento and San Pablo and read more to learn why Berkeley's are better. 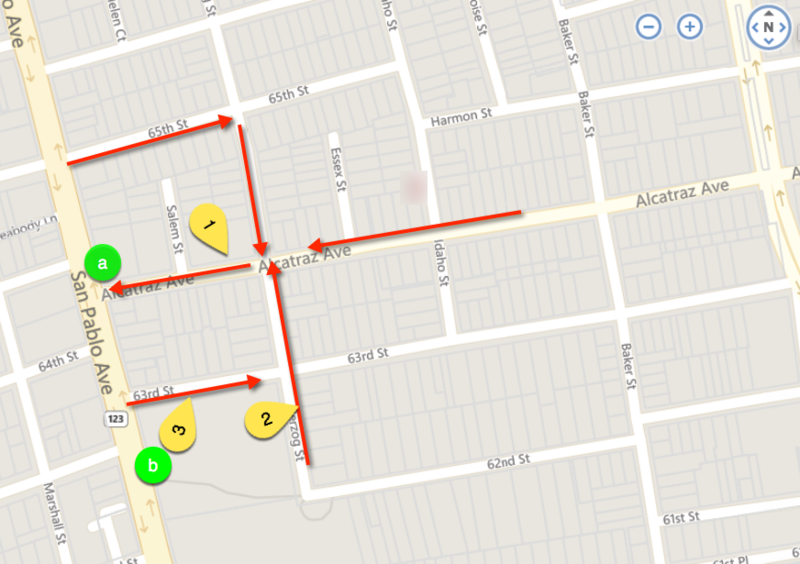 Left turn onto Alcatraz from Herzog heading North is particularly troublesome, with several very close calls. School-provided crossing guard is working 3 crosswalks, but cannot help students that arrive late. Students, pedestrians not trained on how to properly cross streets safely. Many students are also too young to cross an uncontrolled crosswalk on their own. "4,300 cars pass by on Alcatraz each day, making it a major thoroughfare for commuters and residents. The 85th percentile speed profile is 7 mph over the posted speed limit of 25 mph." 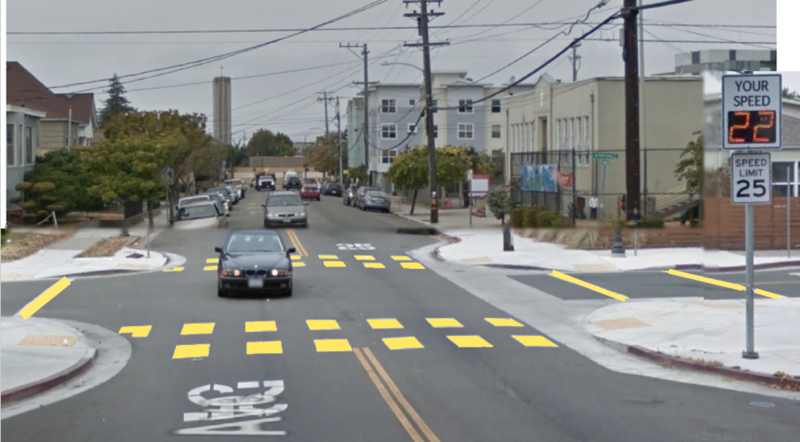 One block from Yu Ming School, there are no crosswalks at Essex and Alcatraz. Winter flooding makes crossing dangerous and unsafe. Pickup at Berkley Maynard happens at the same time as YM, so it is also a congested time. YM students are all escorted to Alcatraz campus for pickup. YM K-4 after school students are escorted from Alcatraz campus to Golden Gate Rec Center. Adjacent crosswalks within one block are frequently used but are not well marked. Salem is on the direct path to the bus stop. Next Step: Have principles at both schools meet with engineers to create plan for improvement. Met with Yu Ming and Berkley Maynard leadership, City of Oakland and community advocates to present this plan, observe and discuss next steps. Four Yu Ming students shared their experiences.